For the first time in 75 years, America has managed to export more oil than it imported, under Donald Trump’s leadership. 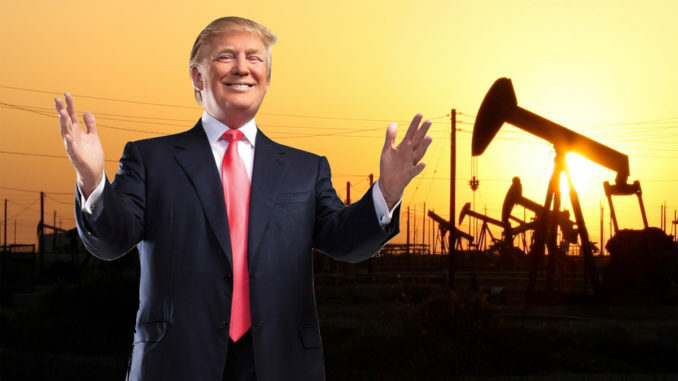 Fulfilling his pledge that America would achieve “energy independence” under his leadership, during the last week of November, U.S. net imports of crude oil and petroleum products fell to minus 211,000 barrels per day (bpd) – meaning that America exported more than it imported. Dailywire.com reports: Oil production has been booming in the U.S. as the shale revolution swept the nation. America is now the world’s largest producer of petroleum, passing Russia and Saudi Arabia. As the U.S. oil boom spread, the power of OPEC was reduced and gas prices in the U.S. have dropped from the $4+ highs under former president Barack Obama. Net imports peaked in 2005, topping 14 million bpd, but in the last few months, the U.S. has imported an average of 2 million bpd. U.S. production has more than doubled since 2012 because of the new technologies for extracting oil.